You are here: Home / Partner / Why don’t they believe? Last week I spent some time talking with AK, a young man who has been a Believer for several years now. AK’s testimony is a great encouragement to me as it is clear to see God’s faithfulness to him and AK’s faithfulness to God. 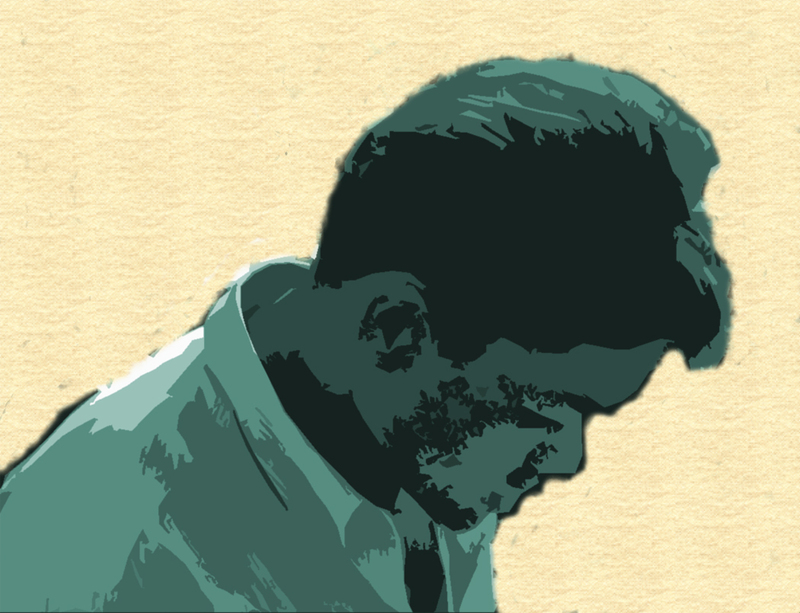 This young man has not had an easy path to follow Christ. He lives in a more rural area of the country where persecution against Christians remains strong and frequent. A few years ago AK made a trip to a neighboring province to visit an uncle and only when he arrived learned that his uncle had become a Christian. Through his witness AK also came to accept Christ as Lord and Savior! Life back in his own village has not been easy but there are now a handful of Believers there and they meet regularly to worship and grow in their walk with Christ. Even more, they are active in sharing the Gospel with others and bold in proclaiming the Good News in other villages despite opposition. The most I could offer at that point was to stop and pray with AK for those who have moved from Viet Nam to the U.S. to find Christ there. But it was hard to shake the sense of accusation that seemed to be in his question. Not that he ever intended it to be perceived that way, but the feeling was there. Here is AK doing all he can to reach others with the Gospel around him but are there corollaries to him in the U.S.? We know of course that simply being in the U.S. is no guarantee of a willingness to turn to God whether you are an immigrant or a native. But fresh on my mind was the article that Christianity Today published in recent days, The Craziest Statistic You’ll Read About North American Missions . 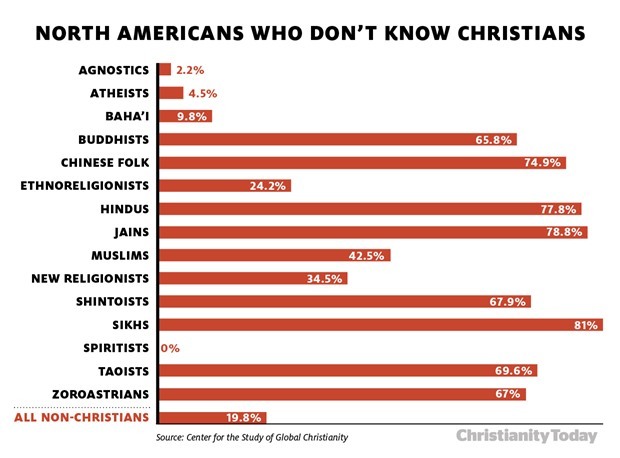 In that article data is presented that shows how roughly 20% of non-Christians in North America don’t know a Christian. That one-fifth statistic is bad enough but if you look closer at their data graph you can see that almost 66% of Buddhists in North America don’t know a Christian. 70% of Taoists don’t know a Believer and 75% of followers of Chinese folk religions don’t know anyone who carries in their heart the message of Jesus Christ. It’s easy to understand why so few of AK’s relatives and friends that moved to the U.S. haven’t come to Christ. They’ve never met a Christian, at least 2/3 to 3/4 of them haven’t. The population of Vietnamese in the U.S. is roughly 1.5 million. Have you met any of them lately? If you live in Texas or California there are many around you. Other states will have smaller populations but they are there. Together with other’s unreached with the Gospel from Southeast Asia they are on our doorstep waiting to hear the message of truth. Please pray for the salvation of the peoples of Viet Nam – both in Viet Nam and in the U.S.
Pray that the churches of North America will stand up to reach the unreached that are migrating to their cities every day.